Three widths: 24", 36", 48"
Datum's VuStak Mini Tier Shelving features a modular, stackable design to high quality steel construction for a shelving system that will adapt and endure for years to come. The straight tier format provides the most storage capacity possible while minimizing floor space intrusion. Three widths and nineteen standard colors are available to choose from, allowing you to find the shelving system that is right for you. The VuStak Mini Tier Shelving has many distinctive features that make it the ultimate filing solution. Storage space is enhanced by its thin shelf design, which eliminates wasted space between shelves. 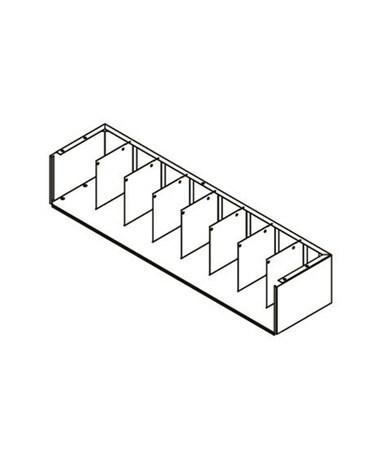 Fixed welded dividers keep folders upright and neat, making it easier to organize and locate them at a moment's notice. The tiers themselves are made with high quality 20 gauge, cold rolled steel, with a complete lack of sharp edges among the exposed edges, corners and surface areas. Customization is a major feature of Vu-Stak shelving. Mini tier shelving can be expanded or reconfigured at any time. Three widths - 24", 36" or 48" - and nineteen standard colors give you the freedom to choose the shelving that best matches your needs. The powder coat finish is durable, scratch and corrosion resistant and more environmentally friendly than liquid paint. We offer Datum's VuStak Mini Tier Shelving in three widths and nineteen colors. Select from the dropdown menus above and order online direct by clicking "add to cart!" 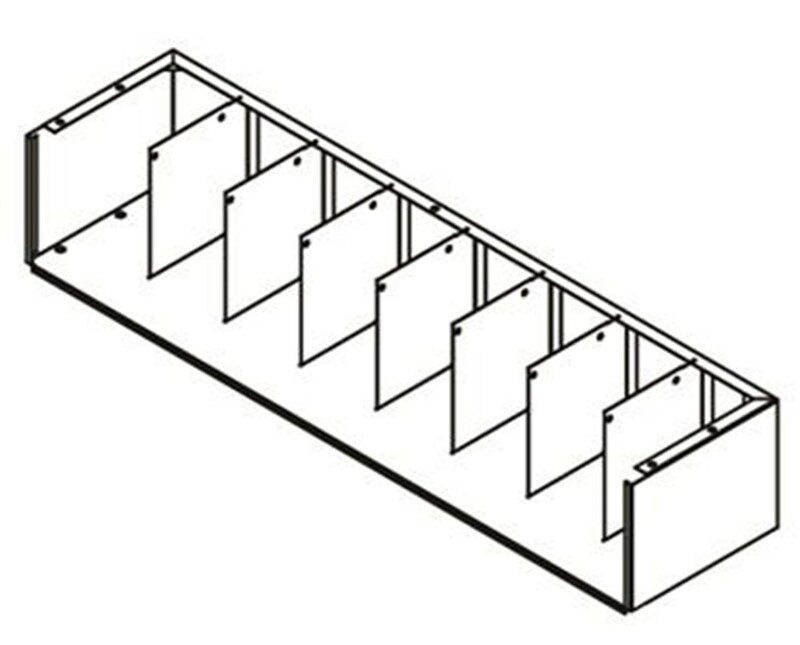 Width(s) 24", 36" or 48"
LFI (Lineal Filing Inches) 23", 35" or 47"